One of OMCO’s core competencies as well as an important competitive advantage is our in-house roll formed steel engineering and design capabilities. Our engineering staff is comprised of some of the most experienced and respected professionals in the roll forming industry. Their collective expertise in all aspects of the roll forming process is a tremendous resource which is unmatched in the industry. 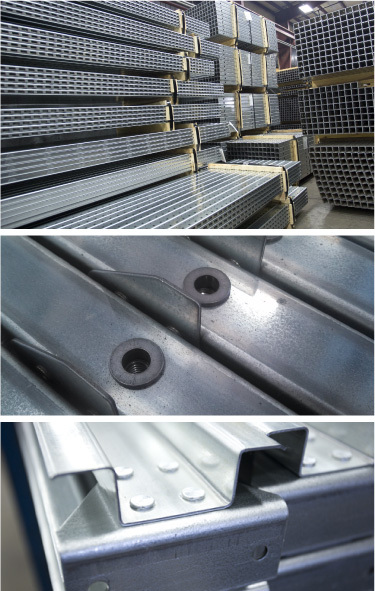 Whenever a new product is quoted and then manufactured by OMCO, it is these industry experts that review the design, determine the optimum rolling progression, design the roll sets required for each station, design the cut-off die, and so on until all manufacturing operation are fully defined. Once all the required components are fabricated, OMCO personnel manufacture the entire roll forming mill including all of its in-line operations. The end result is a superior manufacturing process designed to efficiently produce a roll formed part that meets all of our customer’s defined specifications. This “flower” illustrates the progressive bends applied to steel to form a final part. Material selection—Type, grade, finish, etc.